She’s a Yorkshire born Pakistani whom the Tories put up for election in 2005, there was a swing away from the Tories in that constituency, they then made her a peer anyhow to get her into parliament unelected and then she somehow became co-chairperson of the entire party, from which position, as a babe in arms – youngest peer ever and Minister for Not Doing Anything, she now lectures the UK on Islamophobia and has vowed to push Muslim instead of UK issues. Any points not accurate here? Now, as I’m sure she didn’t have David Cameron’s lovechild, then what is the hold she has over the Tory Party? As she couldn’t possibly have been parachuted in on the grounds of her race or religion because racism is a wicked thing and quite illegal and religion is going that way, as it couldn’t have been because she was a personable looking young chick because that would be sexism and sexism is a wicked thing and quite illegal – then what were the grounds on which she has been so favoured? Her skills of oratory? The wisdom of years? It’s an effort to bag muslim votes. 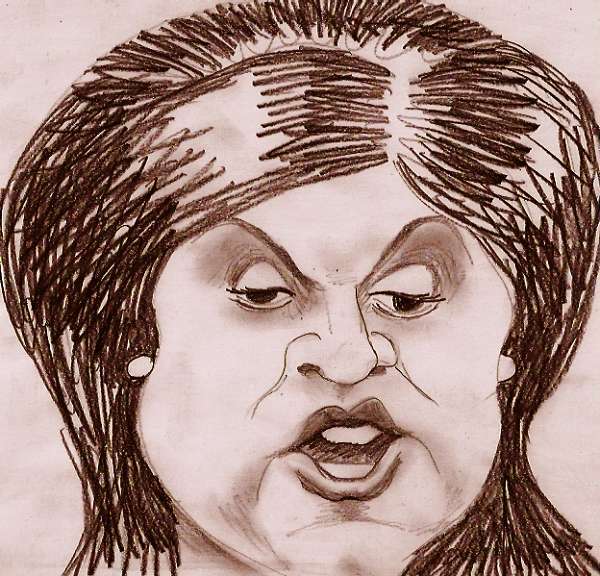 She was appointed to make give caricaturists an easy target. She is there so they can say “look we’ve got a Muslim woman”. Is that a full house? Well her speech today really backfired, Downing Street are back pedalling like mad to distance themselves from it. Doubt they’ll sack her though, for all the reasons Longrider provides above. It would be if she was Lesbanian. Labour would probably go to extreme lengths to get her to cross the floor….